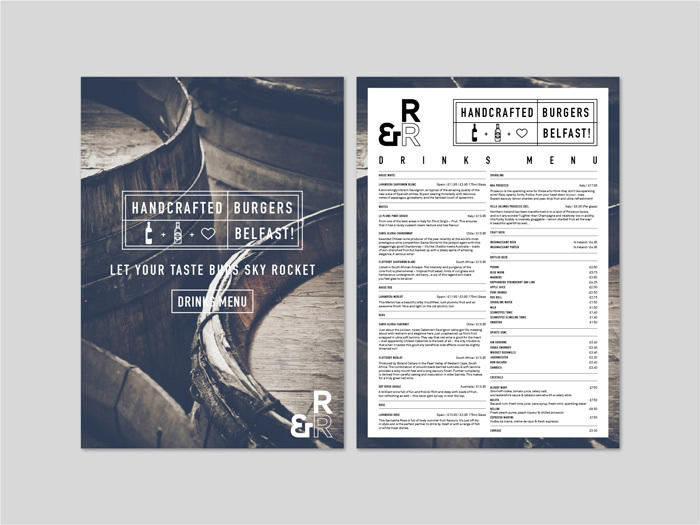 Rocket & Relish is a BYO Burger Joint offering amazing tasting food on the Lisburn Road, Belfast. With the delicious food & beautiful interior they wanted a menu that reflected this. Keeping the brand fresh and contemporary were the main goals of the project. I developed a menu system that was closely inspired by the traditional burger joints of New York City, using a straightforward grid that helped the typography breathe throughout. The imagery used was inspired by the interiors of Rocket & Relish, hinting at the rustic, hearty surroundings. 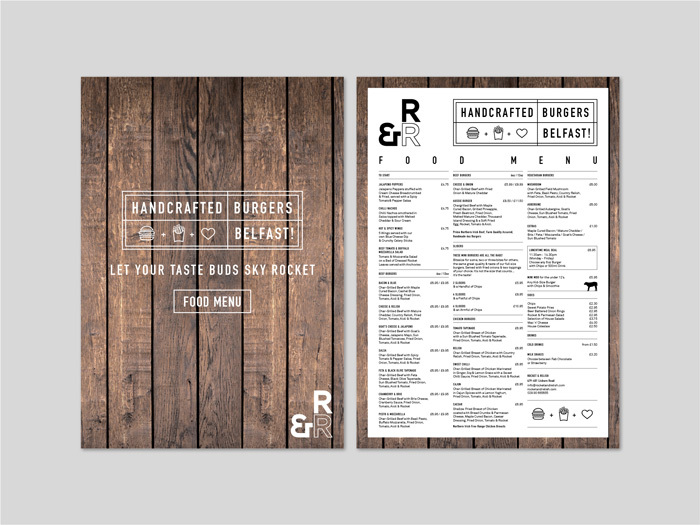 Following the release of the new menus we are working with the R&R team to develop the branding of their Airstream RV and Marquee, which you can find at the Belfast Continental Market and other Foodie events. Ryan ---------- The food menus themselves were printed on a lovely 350gsm silk card and then matt laminated with our super heavy laminate. This ensures the longevity of the menus when in use.